…is again sitting on top of our Christmas tree! 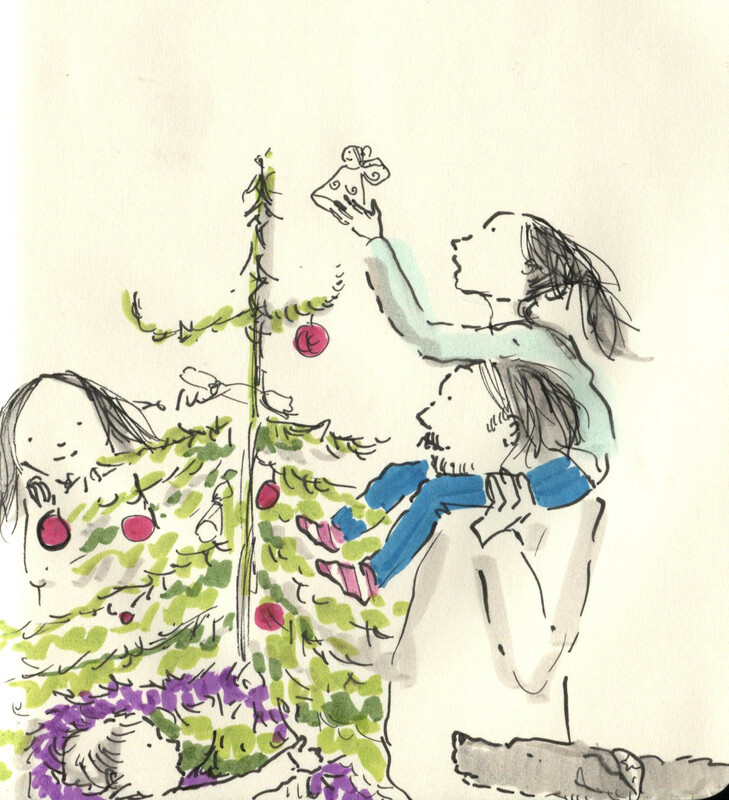 Posted on December 10, 2013, in Uncategorized and tagged Children, Christmas, Doodlemum, Family, Humour, Illustration, Life, Pen and Ink, Sketchbook. Bookmark the permalink. 5 Comments. What a long wait she has, for such little fun! Hooray for Mary the Fairy! We have a Hairy Fairy, still in the decorations box, waiting to be suspended under Percy the Parrot! That way, she still gets to fly ( albeit in an up-down- flappy sort of way), and avoids all spruce related discomforts! How lovely, seeing Myles with Evie doing the honours- must be a whopping big tree.